Cover art by Barry Windsor-Smith. The Black Hound of Vengeance, script by Roy Thomas, pencils by Barry Windsor-Smith, inks by Dan Adkins. Ship, City of Makkalet; Fafnir loses his arm and is thrown overboard by Balthaz to drown; Conan infiltrates the Temple of Tarim and kills a black hound; Conan kills Balthaz and flees Yezdigerd's ship. 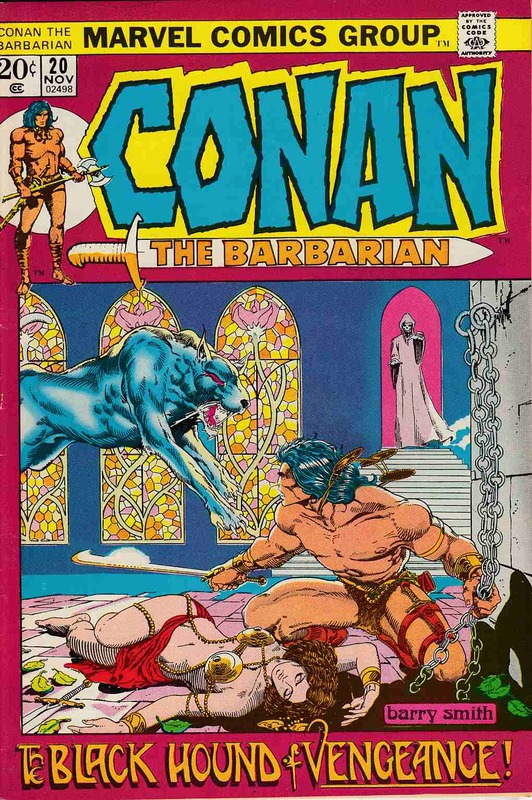 The letters page reprints the Hyborian Age map from Conan 1. *Grading Notes: small edge dent on top edge of back cover.